Third-party battery cases for iPhones have been around for a while now, with companies such as Belkin and Mophie offering products that keep Apple’s smartphones running for longer. 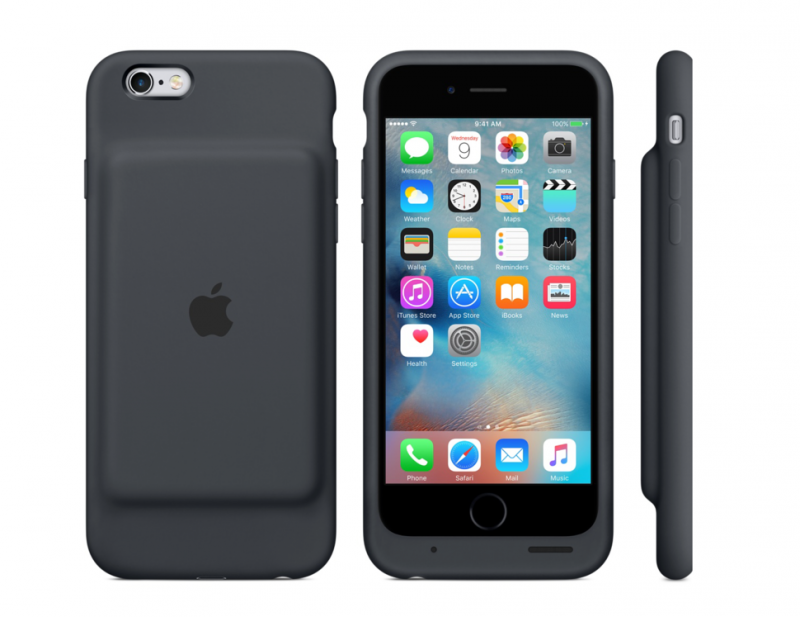 But now the Cupertino-based company is getting in on the act by launching its very own Smart Battery Case. Without much fanfare Apple is now offering the $99 case on its online stores. The description says it is engineered specifically for the iPhone 6 and iPhone 6s to give longer battery life and protection. Apple says the case can offer as much as 25 hours of increased talk time, 18 hours internet use on LTE, and up to 20 hours of video playback. Like Apple’s other custom-fit iPhone cases, this battery case is made from soft touch silicon and has microfiber lining on the inside to help protect the device. Unlike some third-party battery cases, an iPhone can slide straight into Apple’s product, rather than having to be separated into pieces and clipping around it. There’s also an elastomer hinge to make putting the case on and taking it off easier. When the battery case is being used, the new ‘intelligent battery status’ will be displayed on the iPhone’s lock screen and in its notification center. The Smart Battery Case is charged using a standard Lightning port, and it’s possible to charge both an iPhone and the case simultaneously. It’s available in white or charcoal grey and only works with the iPhone 6 and 6s. There's no word yet if there’ll be a version for the 6 Plus/6s Plus or any of Apple’s older iPhones.